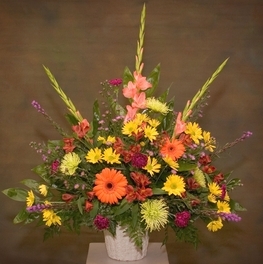 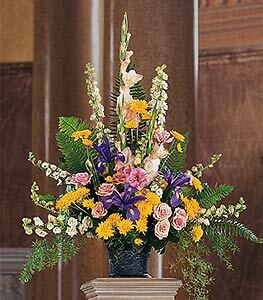 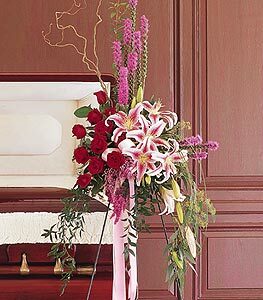 A jewel toned mixture of red roses, stargazer lilies and liatris on a standing spray. 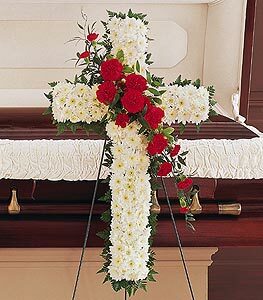 This finished product is certain to please. 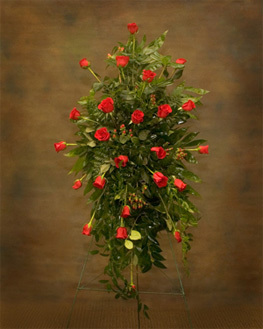 The color of lilies and roses can be changed.